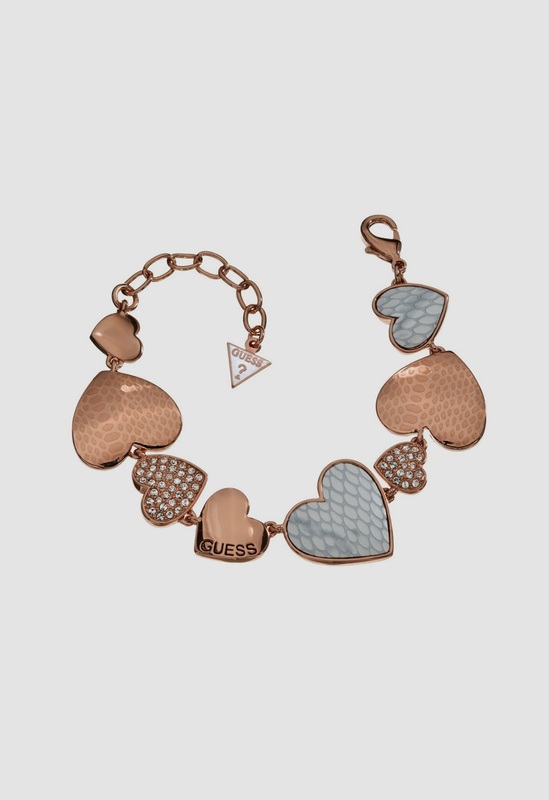 The range of jewellery by Guess is bright and fun like everything in the Guess world. The prices are very good and the designs of the two lines are great. Uptown Girl and Latin Safari will be seen on any fashion conscious person. 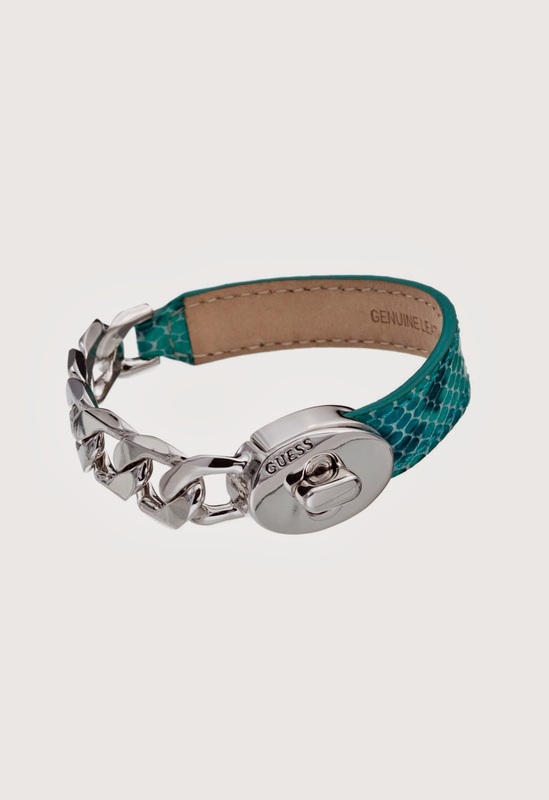 From the Latin Safari line this bracelet is a real beauty with python print leather and white, yellow or rose gold plated metal. Available in turquoise, red, white, tan and black they are priced between £ 60.00 and £ 65.00. 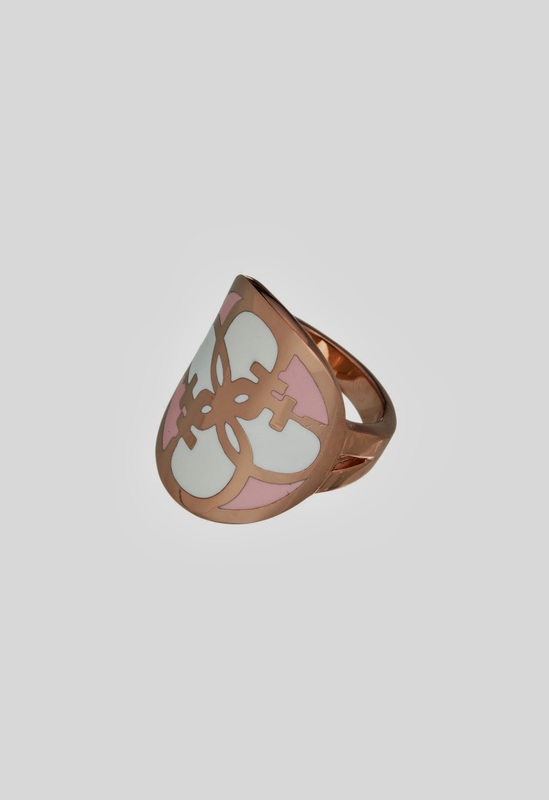 I love the Uptown Girl line with its enamel jewellery. Coral, turquoise, white and beige are used for these pieces of jewellery that looks like stained glasses or a Deco' artwork. 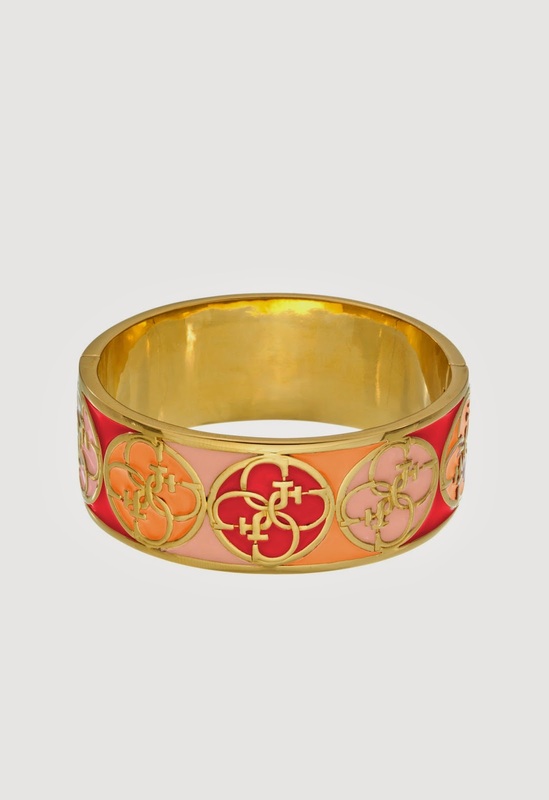 This bangle is priced at £ 105.00. This sweet bracelet is from the Latin Safari collection and it is the Desert Beauty line.with the Guess heart and crystals used in the setting. 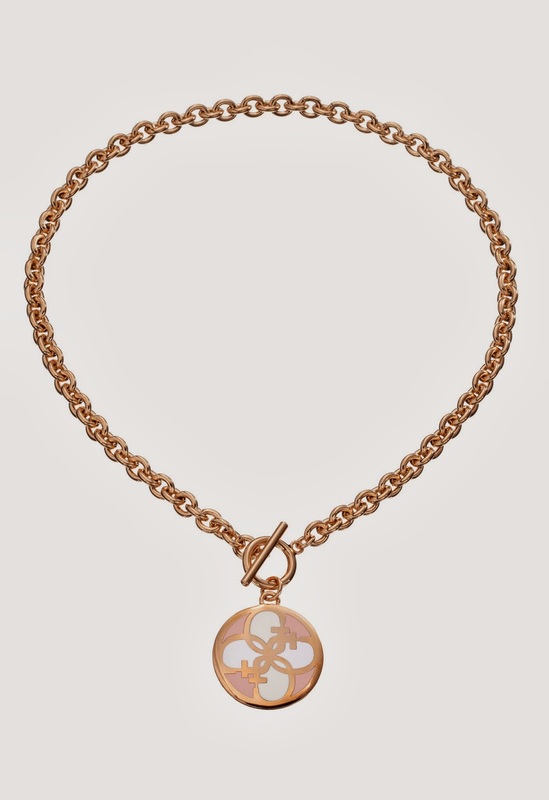 This bracelet is priced at £ 75.00 but there are other versions with charms, single or triple hearts. This necklace is part of the Uptown Girl collection. I like the old style watch chain and the pendant with the soft hued enamel. Priced at £ 65.00 it is one of those items that can be worn forever. The style and the colour make it great for either summer or winter, to brighten up a dark outfit. 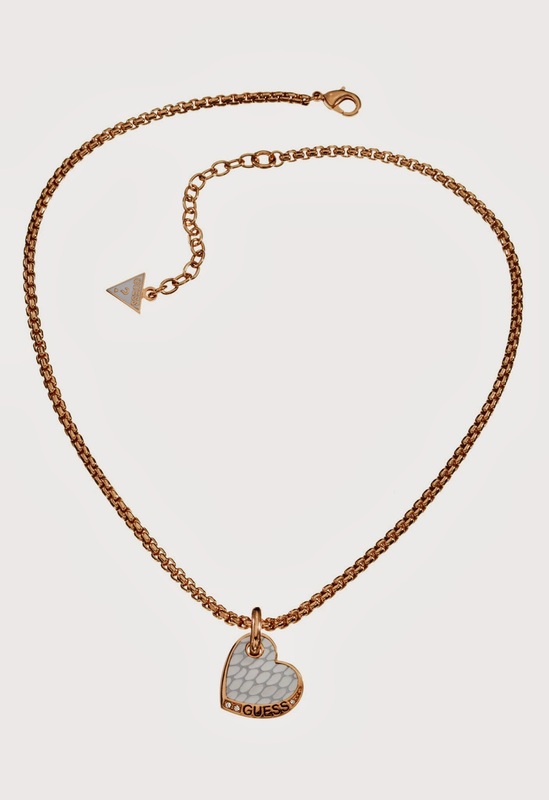 The same style necklace is available in white metal with turquoise enamel. The ring is from the Uptown Girl collection matching the necklace. The same style is available in orange and this little beauty is priced at £ 45.00. It is really nice on a tanned hand.